What saved these images was getting the shoulder, secondary, wing feathers. 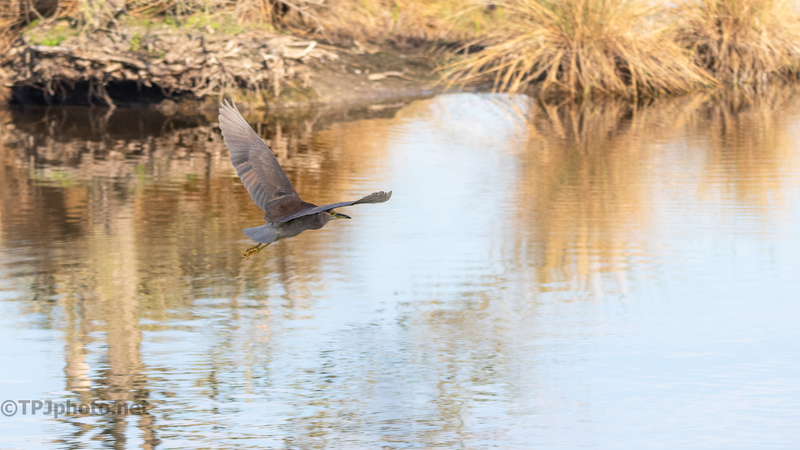 The bigger wading birds have a line of wing feathers that run about halfway down the wing width. In the right light and position they can help make a decent image. It’s these little things that can make a good wildlife photograph. 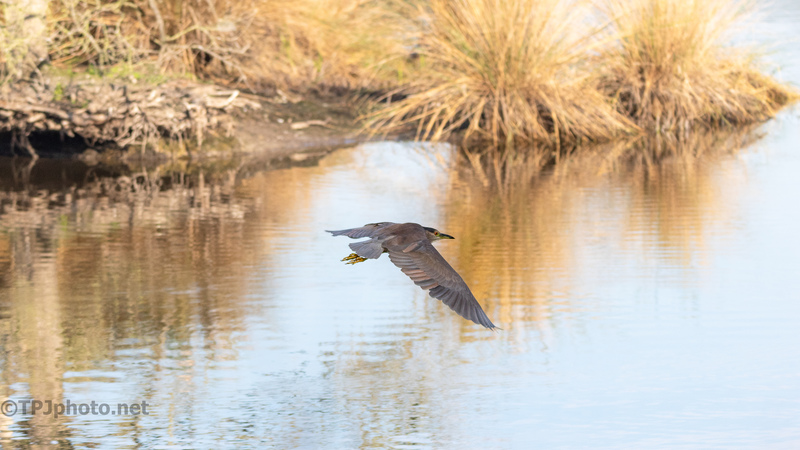 The Black-crowned Night Heron is a smaller Heron, but very quick. Even knowing exactly where he was didn’t help much at lift off. 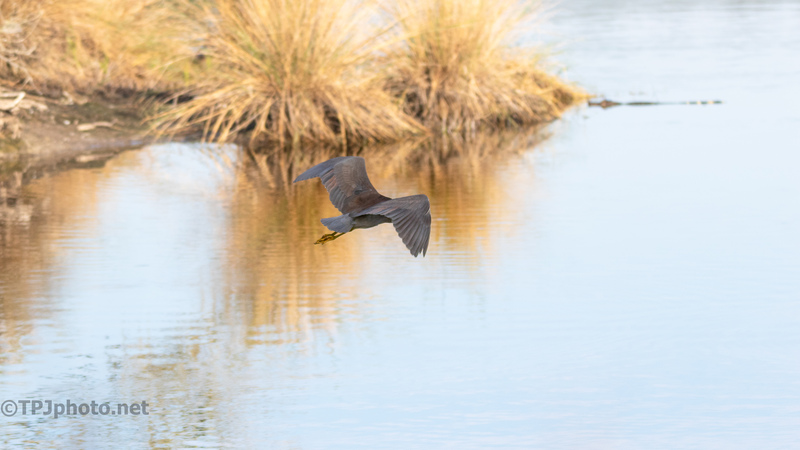 In an instant this guy was off and going low over the marsh. This series is no award winner by any means however the fall colors are OK.